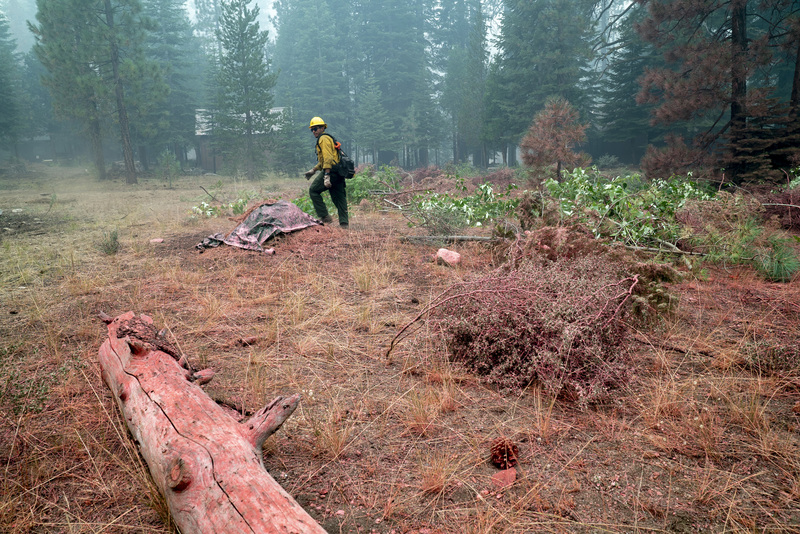 Eric Garcia, firefighter, in a field near a cabin covered with pink fire retardant in Stanislaus National Forest, California during the at the Donnell Fire. (Forest Service by Cecilio Ricardo). Photo by Forest Service.